"Some psychologists and philosophers have played down the scope of reason in our lives. 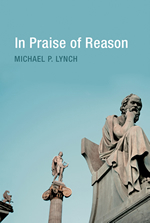 Michael Lynch has done a splendid job of explaining what reason is, and why there is no good excuse for abandoning the Enlightenment's best idea: that we share a common currency of reason with our fellow human beings. What's striking about the book is the light touch with which the author handles profound arguments." "Objective reason stands to reason, and is to be followed for that reason. How can this be so and what are the implications? 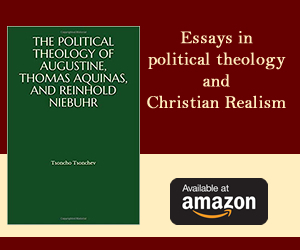 The extensive answer in this book combines philosophical depth with historical and thematic breadth. It attains rigor without jargon, clarity with concision. It makes its case against currents of relativism in philosophical thought, and against currents of dogmatic conservatism in political thought. This needs to be done again and again, and Michael Lynch does it very well." Imagine that a mysteriously powerful scientist offers you choice between two doors. Open door number one and you gain the ability to rationally convince, slowly over time, some of your political opponents of the wisdom of your views. But open door number two and you get a pill that once poured into the water supply, would instantly convert everyone--even the most hardened partisans--into thinking like you do about politics. Which door would you choose? While most of us would be at least tempted to take the pill, others of us would hesitate. There is something clearly wrong about manipulating people into unconsciously agreeing with you, even when the stakes are high and it would get the job done quickly and efficiently. We think there is something valuable in appealing to reasons. The process of giving and asking for reasons matters, independently of what it may happen to get us. This book defends this idea, arguing that democracy, when it works well, is a form of what Sellars called a "space of reasons". Of course, the value of appealing to reasons also depends on whether they are good reasons. Good reasons are based on good principles. So I argue not only for the value of giving reasons in public discourse, but for the the value of certain principles over others-in particular, the principles that constitute a scientific approach to the world. The value of reason needs defending because there is an increasing drumbeat of cynicism about it. To many people the thought that reason, and scientific reason, in particular, should play a central role in politics is either incoherent, unmotivated or downright naïve. The causes of this skepticism are varied, but underlying all of them is a common thought: that all "rational" explanations end up grounding out on something arbitrary. In the end, it all just comes down to what you happen to believe, your emotional reactions, or blind faith. Skepticism about reason finds support both within and without science. Within science, some prominent psychologists have argued that a growing amount of data from the psychological sciences indicates most reasoning is ultimately "rationalization"--retrospective work that's done after our emotions have already committed us. Outside of science, philosophers and theologians have worried for centuries that we can't give reasons for our trust in reason without running in circles. Defending the epistemic authority of science with more science, the thought goes, just shows that it too comes down to faith. That reasons always give way to something non-rational is a powerful idea--in part because it contains more than a grain of truth, and in part because it simply feels liberating. It levels the playing field, intellectually speaking. After all, if all reasons are grounded on something arbitrary, then why assume science is on any firmer foundation than anything else? You might as well just go with what you believe even if it contradicts the evidence. Yet like many powerful and important ideas, this one turns poisonous when taken to its logical limit. The thought that everyone's first principles are arbitrary undermines a key principle of a civil society: that we owe our fellow citizens explanations for what we do. Civil societies are not necessarily polite or homogeneous; but they are societies that value reason-giving, inquiry, questioning, and hashing out one's differences with others. In so doing, they take seriously the idea that there are better and worse ways of doing these things. If you give up on the idea that there are standards of this sort, you give up on the idea that giving reasons has any real point. Public deliberation becomes a game played for the joy of manipulation, and politics becomes war by other means. Skepticism about reason undermines our commitment to civil society, and that is why it is important to understand its causes and answer its arguments. Reason matters and appeal to reasons matter, and not just for the noble ideals of the academy, but for the down-to-brass-tacks, mud-on-your-boots world in which we all live. Michael P. Lynch is Professor of Philosophy at the University of Connecticut and the author of Truth in Context: An Essay on Pluralism and Objectivity and True to Life: Why Truth Matters, both published by the MIT Press.